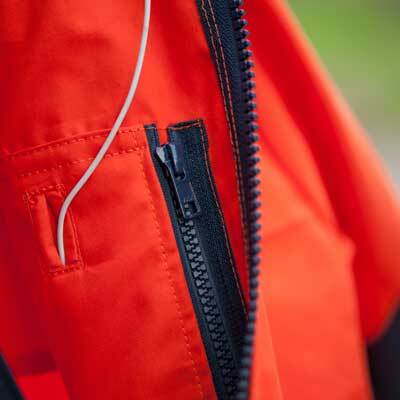 Fully waterproof trousers made from Double Ventile®. Tough, hardwearing and warm with minimal rustle, these are perfect for professional users and are a firm favourite with wildlife photographers, nature watchers, bushcraft enthusiasts, field sports and gardeners. With a low rise fit, our Blaven trousers have a reinforced seat, knee patches and ankle scuff patches, which give protection in demanding terrain. Named after Blaven (Bla Bheinn), one of the most magnificent mountains in Scotland; a great isolated citadel of rock on the Isle of Skye with fabulous views. Find out more in our Glossary. See our Cabrach DV Trousers for a different fit in the same Double Ventile® material, or take a look at our Conival Trousers for trousers made in in Cotton Analogy®. So good I lived in them for 8 days while fishing and so impressed bought a second pair for cycling and hiking.